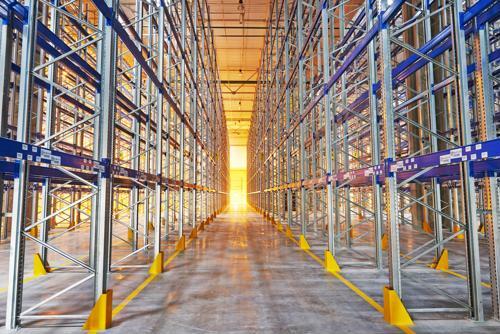 Over the past few years, the extent to which the e-commerce boom has impacted the national warehousing sector almost can't be overstated. Simply put, hiring and construction in the industry are surging these days, and it's a trend that isn't likely to abate any time soon. Much of this development has come in the Northeastern U.S., where Pennsylvania in particular is seen as fertile ground for warehouse construction today, according to the Wilkes-Barre Citizens' Voice. In the city of Nanticoke - just outside Wilkes-Barre in the northeastern part of the Keystone State - a development firm has signed a deal with an unspecified e-commerce company to lease one of three warehouses now being built on speculation. While the company has yet to be revealed, it is promising to create more than 1,500 new jobs at the massive facility, paying an average wage of $41,000, the report said. This is part of a development effort to build more than 2.3 million square feet of warehousing space near Route 29 in Pennsylvania, and two of the buildings now in the planning stages are expected to be completed by the third quarter of 2019, with the third coming some time after that. "We've had great success with the buildings we've built," Brent Miles, vice president of economic development at NorthPoint Development, told the newspaper. "The tenants that came here have been welcomed with open arms. When they hire employees, they're getting a very large turnout. That tells us that there's a good labor force and a good labor pool." A little less than three hours south of Nanticoke, in Harford County, Maryland, another developer recently broke ground on a warehouse and industrial space measuring 350,000 square feet in Edgewood, according to the Bel Air, Maryland, edition of the local news site Patch. About 50,000 of those square feet had already been leased at the same time as construction began. This happens as the warehouse vacancy rate in the area came in at in at just 1.1 percent at the end of September, because much like Northeast Pennsylvania, this area of Maryland is in proximity to many major population centers with easy access to major highways that run up and down the East Coast, the report said. Finally, in Port Wentworth, Georgia - near Savannah - the city council recently approved 82 acres of land within its borders to be rezoned to meet warehousing demand, according to the Savannah Morning News. The plans call for a three-phase construction project, with one warehouse already being built and two more on the way in the second portion of the effort. The first three warehouses will have a combined footprint of more than 1 million square feet. No further information is available about the third phase. When companies are developing warehouses, particularly in areas where there is already plenty of work underway, it's vital that they provide their employees with strong pay and excellent benefits. Going above and beyond local market norms is often the difference between both attracting and retaining workers, or losing them to nearby competitors.